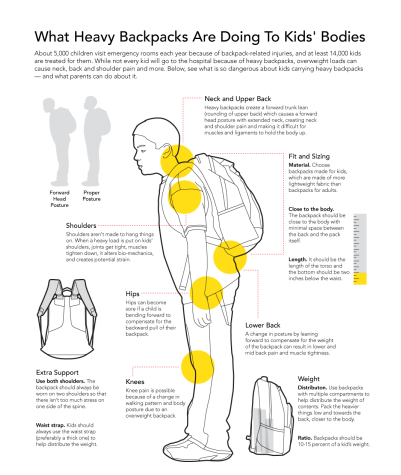 On Wednesday September 26th, we put our kids' backpacks to the test. 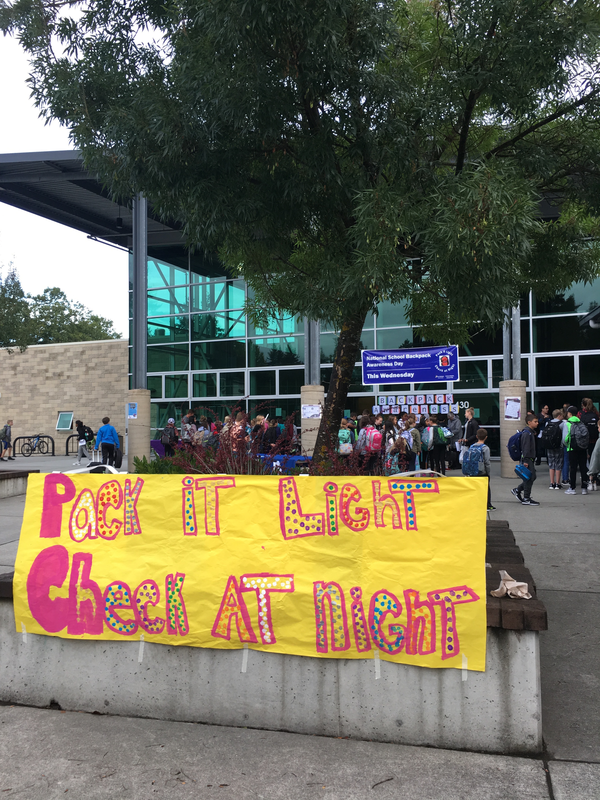 An awesome team of volunteers helped over 200 students weigh their packs as they walked into school. 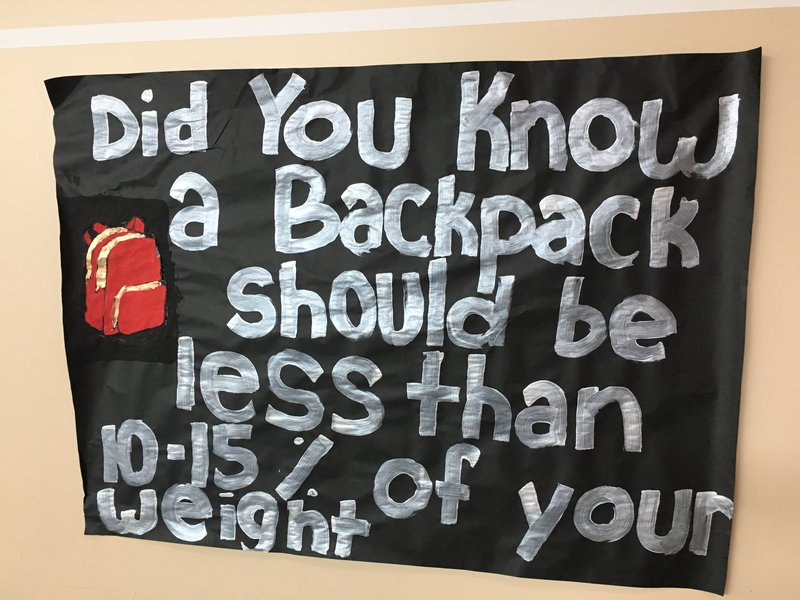 Last year, the average KiMS student's backpack was 14.6 lbs, so we beat that number a little under a pound! Woot Woot! 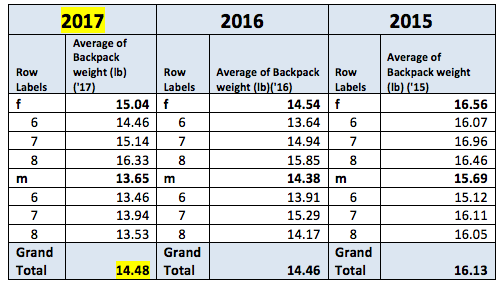 Just like previous years, girls have heavier backpacks (14.14 lbs compared to the boys at 13.28) and 6th graders manage to carry the lightest load of the three grades represented. 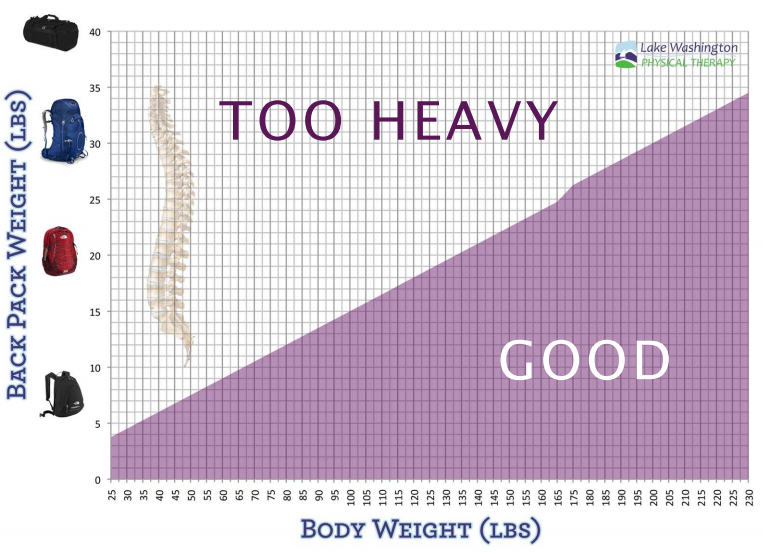 87% of our students still carry more than 10-15% of their body weight on their developing back, and despite this being a great improvement over our previous 94-96%, there is still plenty of room for improvement. Work still continues to educated students/families, staff and the district on strategies that can help our kids lighten their loads. CURIOUS ABOUT THE CONSEQUENCES OF HEAVY BAGS? Click here for a video with more information. Have we hit a plateau? 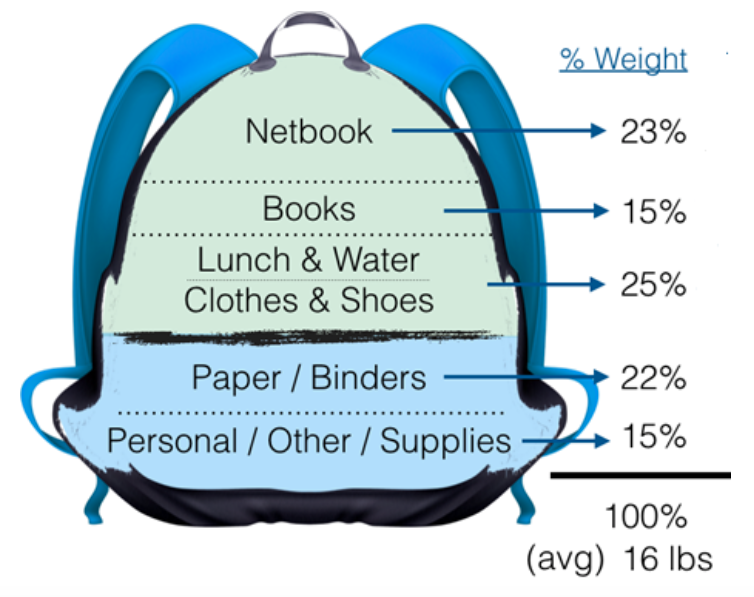 Why are the backpacks so heavy? 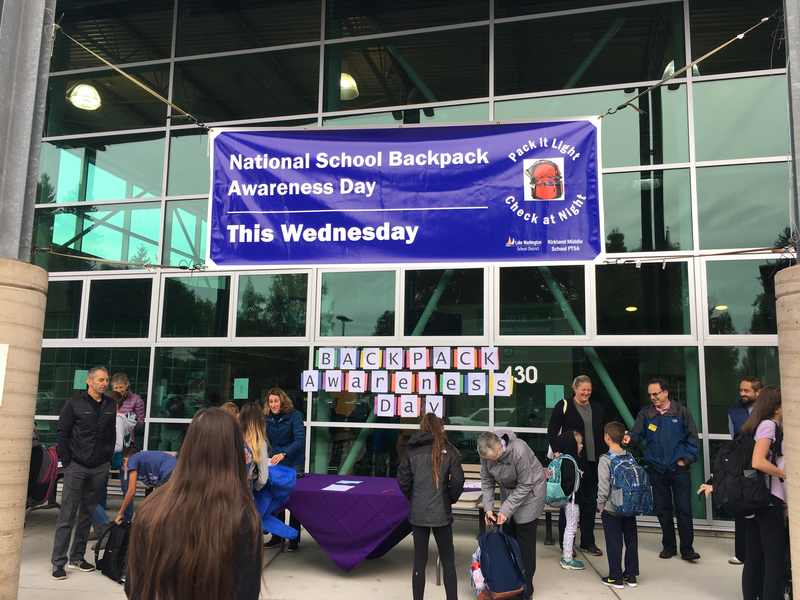 Backpack Awareness Day is a nationally recognized event that was created by the American Occupational Therapy Association (AOTA). 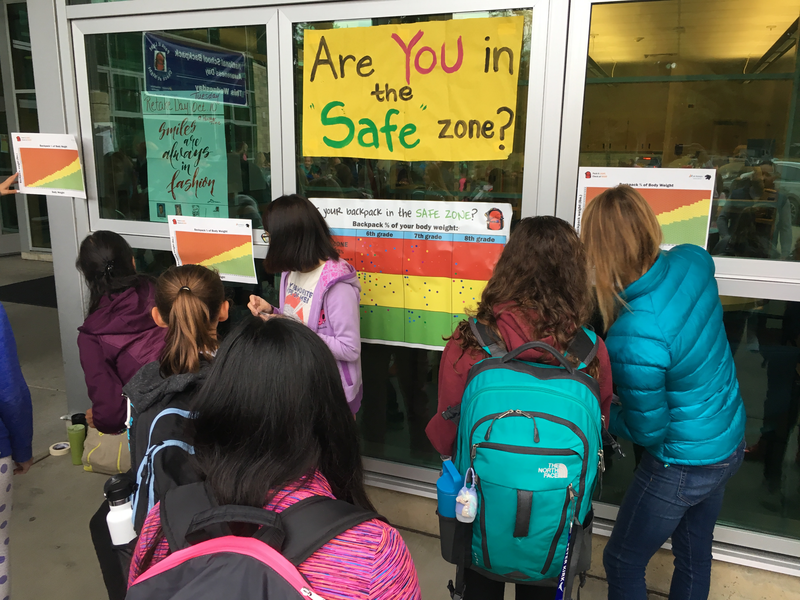 Hosting a Backpack Awareness Day is the critical first step in understanding the size and scope of the backpack issue at your school. This toolkit is a step-by-step guide with supporting materials included to make it as easy as possible for you to hit the ground running for your September event. 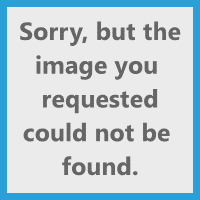 You can email backpack@kirklandptsa.org with any questions or ideas.